Last week, I attended Mere Anglicanism 2015, a conference hosted by a group of churches in the Diocese of South Carolina. 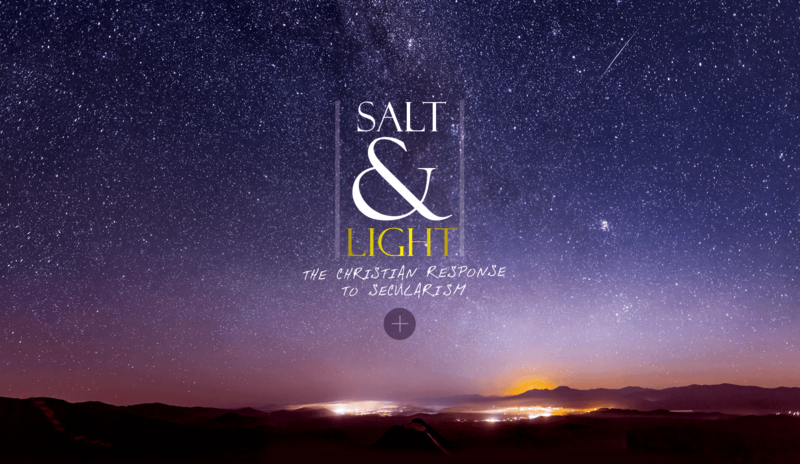 The theme of the conference this year was "Salt and Light: the Christian Response to Secularism," and it featured an impressive line-up of speakers: Bishop N.T. Wright, Os Guinness, Alister McGrath, and Ross Douthat to name a few. I want to offer a brief summary of the conference for my readers and for my friends at church in hopes that this article might help facilitate some further discussion on an important subject. Unless we choose to live in insolation, every church and every Christian will need to respond to the rising secularism of our day. I will not try to summarize all the speaker's talks here, but they will be available online soon (and similar talks by most of them are floating around the web). What I'd like to do in this post is look at the themes that emerged from conference as a whole, and then point out the tensions between the speakers ("tensions" being a polite way of saying "disagreements"). Finally, I'd like to present the solutions put forward at the conference. (Much of this analysis is indebted to conversations with friends who are far more insightful that myself: Sarah Jane, Elijah, Ben, Alan, Art, and Andrew). First, we need to define "secularism." For the sake of this article, our working definition of secularism will be the absence of religion in a society. Is Secularism our biggest problem as American Christians? Most of the speakers at Mere Anglicanism assumed the rise of secularism to be the great threat of our time, both to the Church and to humanity in general, Os Guinness being the best example of this position. He cited cultures where secularism took hold during the 20th century (Nazi Germany, the Soviet Union and the People's Republic of China), and let the audience contemplate the great evil these societies unleashed on the world. Guinness also named the secular worldview, which drove the creators of the abortion industry in the United States, as the vehicle of a continuing holocaust among us today. Ross Douthat, however, offered a different perspective. In his talk, which largely summarized his book Bad Religion: How We Became a Nation of Heretics, Douthat said that "secularism is weaker than you think," and put forward "heresy" as the American Church's greatest challenge in the 21st century. Citing copious sociological reports, Douthat stated that America is not becoming less religious but more religious. This new rise in religion, however, has not resulted in an increase of adherents to any particular faith, but an increase of those whose faith is an amalgam of Christian, pagan, and psuedo-scientific philosophies. These heresies operate from a basic Christian paradigm, but jettison Christian orthodoxy. According to Douthat, Jesus's greatest competition in America is not Darwin or Dawkins, but Oprah. What is a proper Christian response to secularism (or Douthat's culture of heresy)? It was surprise to me that none of the speakers offered an apologetic response to secularism. N.T. Wright's talk, which began the conference, called for Christians to live out a God-saturated life (my words, not his). This, he believes, is how we can "outflank" secularism. While secularism, riding on the shoulders of the Enlightenment, confidently states that spiritual things are unknowable and that only "facts" about life "down here" are certain, Christians can demonstrate the nearness of God through a life empowered by the Holy Spirit and bolstered through Word, Sacrament and prayer. By being the Body of Christ and by being the very temple of God's Spirit, we show God is not far off. For Wright, the response to secularism is a life lived for Christ. In a similar vein, but with a different emphasis, Alistair McGrath painted a picture of secularism as dry, dull, and unsatisfying. He called for Christians to show the "luminosity" of the Christian faith through the creative expression of the impact of Christ in the world and in our own lives. McGrath, citing C.S. Lewis as an example for us to follow, called for Christians to shine forth the glory of God's Story as a means to make our secular friends "want" Christianity to be true. This desire, he said, makes the truth of the gospel seem more probable. These grass-roots approaches from Wright and McGrath were the only explicit solutions given at the conference. No answers that I recall, were given to Douthat's heretical culture, and no possible inroads to the world-controllers of our culture were suggested either. This leaves many questions for us to unravel: Is the problem of secularism a problem at all? Is the answer to secularism a bottom-up or top-down solution? What, if anything, do Christians need to repent of in all this? And, though it was largely passed over, what apologetics to defend the faith in our culture today? Perhaps the most important question we can ask is this: "What am I going to do about it?" Given who you are, who you know, and what resources God has given you, how will you respond to your secular friends and neighbors? How will you help the "heretics" at your door come to know Christ? Though the appeal to tradition will make any Reformation Christian (like myself) uncomfortable, there is an ad fontes quality to this that I appreciate. 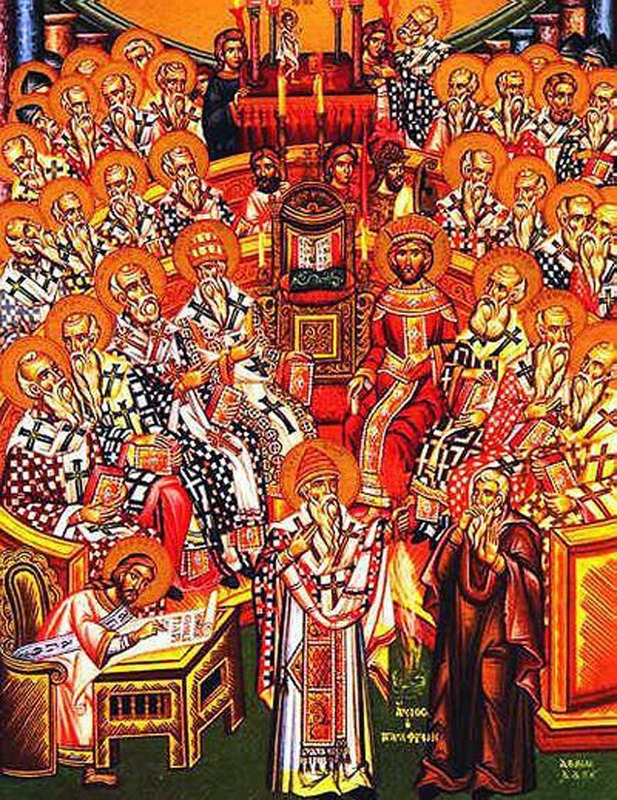 Even our exegesis of Scripture should be colored by the question: "What was the faith of the apostles?" It is not merely a question of "What do I think this means?" We are aiming to understand the living faith in the Living God, not merely to understand a document. 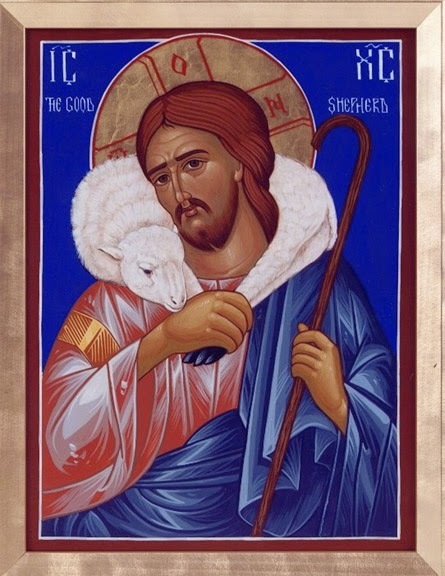 This Sunday, the sermon at Good Shepherd came from Psalm 139. But even though we covered almost every verse in the psalm, there were a few things I wasn't able to get to because of time. I'd like to share one of them with you now… since it is a crucial teaching for all people and especially Christians. In (v. 14), after talking about how God knows David's past, his very conception, David writes these words: "I praise you, for I am fearfully and wonderfully made. Wonderful are your works; my soul knows it very well." Here, David is reflecting on God's wonderful creative power in His making of… David. It may seem a bit arrogant for the sweet Psalmist, but in this passage David is marveling that God could make such an amazing thing as himself! Every person is a unique creation of God. Every person is an astounding work of creation: Consider the intricacies of the human body, the human brain. Doctors have been studying the body in the Western world since 2nd century (at least), and in India perhaps a millennium before that. 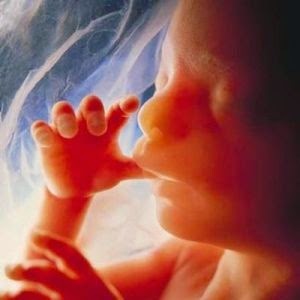 And yet, with all this study, we have not yet plumbed the depths of God's creation in our own bodies! On top of that, our own souls and spirits remain a deep mystery to us as well. If you've ever been impressed with new gadget: a car, a new smartphone or computer, then whenever you see another human being or even when you look in the mirror (no matter how rough you look!) you should explode into songs of praise to God! What an amazing Being could create such beings as ourselves!? 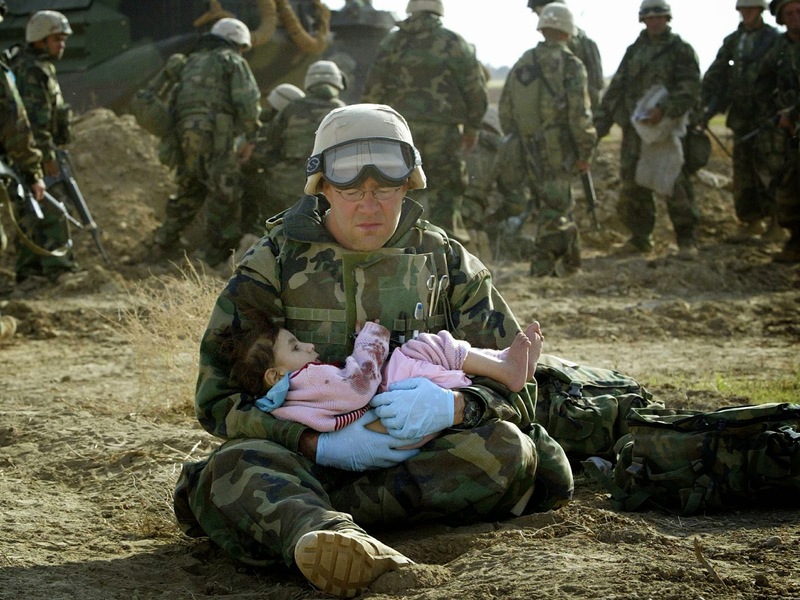 Indeed, each human being has in them a reflection of the image of God. (See Genesis 1:26-27) What a lesson each of us could learn from David: to be amazed at how God has made us and who we are, rather than wishing we were more like another one of his creations. How would the world change if we really believed that every person is a valued creation of God, regardless of race, of age (old or unborn), of lifestyle, of nationality, of open-mindedness or closed-mindedness, of intelligence or lack thereof, or of religion? Where would the abortion industry go? It would disappear. Where would wars go? They might even cease. Where would violence go? It would be lessened. How could extreme poverty still exist if we saw others like this? Unfortunately, this enlightened biblical perspective won't be universally realized before Jesus returns… and here's the reason: There's more to David's view of himself and of humanity than this elevated picture. David, who is in awe God's handiwork when he looks at himself, is also the guy who said the following words: "Look, I was guilty of sin from birth, a sinner the moment my mother conceived me." (Psalms 51:5, NET) The reality is that even though every man, woman, and child was made in God's image and is an amazing unique creation, we are also broken creatures, all of us. We are all born that way. There is not a single person who is walking the earth today whose body, mind, and soul are free from the taint of sin. Sin doesn't just affect our relationship with God, it also affects our bodies, our minds… every aspect of us. (See Romans 1:18-3:19; 8:18-23) Not only does every human being think thoughts and make choices contrary to God's design for us, but our own minds and bodies have been marred and tainted, even from birth, so that the things that "feel" and "seem" right to us can, in fact, be wrong. Sin affects our theology, our psychology, and our biology. No one is exempt from this. This is the predicament of humanity. We are in tension. On one hand, we have this unparalleled glory amongst all God's creations: we are made in his image and likeness. But we also have this tragic flaw: our glorious nature is twisted by sin. Any view of humankind that forgets to hold these two things in tension does not tell the whole truth. And when a culture loses either side of this truth, it can dehumanize its citizens. (As a generalization: Our current day tends to think "everything is awesome" about humanity. Previous generations had a tendency to deny the dignity of every human being.) It is a question worth asking: How am I broken? How has sin warped me? The only way we can know these things is if God reveals them to us in his Word, and if loving brothers and sisters in the Church help us to see our blindspots. But here's the good news: Through Jesus, every aspect of sin is and will be taken away. Those who are united to Jesus through faith, repentance, and baptism will get to see the sin that has warped them taken completely away: On the cross he took away the penalty of sin. Through his Spirit, he is working in us more and more to take away the power of sin (everything from diseases to sinful habits), and when He returns, he will take away the presence of sin all together. When that Day comes, we, and all creation with us, will regain the glory and perfection for which we were made! Today, as I am working on a sermon over Psalm 139, I am humbled by the great kindness of God. He knows our every thought. Think of that: how many worthless thoughts have you had? (Today?) And yet, He loves those who are his with a power, intimacy, and care rivaled by no one: no mother's love, no spouse's faithfulness, no father's careful plans compare with our God's great covenant-love. King David sings about it in Psalm 139. And in this hymn, the concept is powerfully brought home as well. 4. Jesus! what a Guide and Keeper! New Years Resolutions: everyone makes them. Even those who don't make them, resolve NOT to make them. I, for one, think that occasional evaluation of how we're doing in life, a re-examnation of goals and direction, is a good and healthy thing. And no doubt, many of us will resolve to live more healthy in 2015 (no more sweets, work out more, etc. etc.). Many of us will resolve to spend more time with family, to work on our marriage (e.g. go to a marriage conference, get a weekend away with our spouse, etc.). Some of us will make drastic changes: new babies, career changes, new education pursuits, and even new housing. 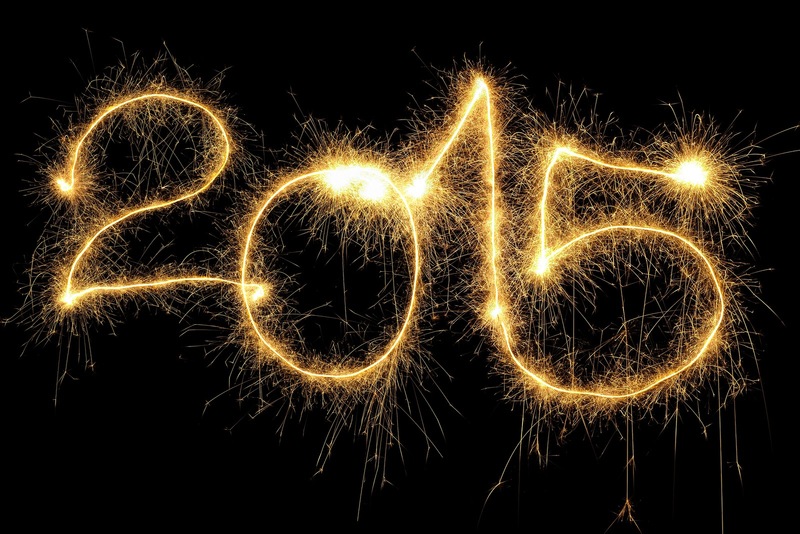 Here's another thing to consider: what will be your spiritual resolutions this year? If you've considered your physical health, what about your spiritual health? If you've resolved to have a better body in 2015, what about a healthier soul? While we cannot control our own spiritual growth because our spiritual growth is an act of God (1 Cor 3:5; John 15:5), we are given some responsibility for our spiritual growth. We are called to "work" at it (Phil 2:12-13); we are called to "stay near" Jesus (John 15:5); we are called to "seek God's Kingdom" (Matt 6:33). How do we participate in God's work to grow us spiritually in 2015? The Word: download a Bible reading plan, follow the daily office, study the Scriptures appointed for each Sunday ahead of time, listen to the Daily Audio Bible. Prayer: learn how to use the Book of Common Prayer for daily prayer, learn a short easy way to pray each day, pray daily for 5-10 people, pray with your spouse daily, pray with your family several times a week. Christian Fellowship: ask one person at your church to meet weekly with you to read and pray together (this could be over a morning/evening run or walk), host dinners and lunches with folks at Church, host a movie watching night and then a discussion afterwards, start a book club, invite some guys/gals to play golf, etc. etc. Doing God's Mission together: Invite someone at Church to join you in mercy ministry (e.g. working at the Storehouse for Jesus) or in prayer walking, commit to start a conversation about spiritual things each week, commit to meet a new person each week and pray for them, pray for 5 people to share the gospel with. If you step out in faith to do God's Kingdom work, you will encounter Him in a new way.